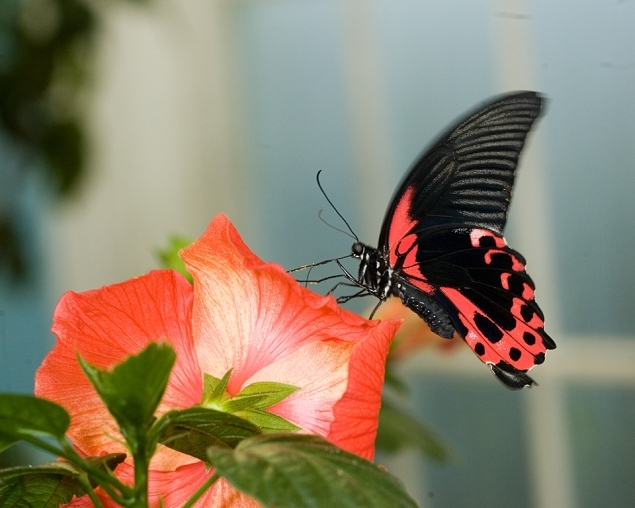 This photo was of several taken at a small butterfly "house" near Oneonta. What makes it special is the red coloring matches the flower very well. It was taken with a flash attachment designed for close up work. Two small flash units rotate around the lens and can provide shadows in contrast to ring flash that usually results in no shadows.